Because I love everything about it! 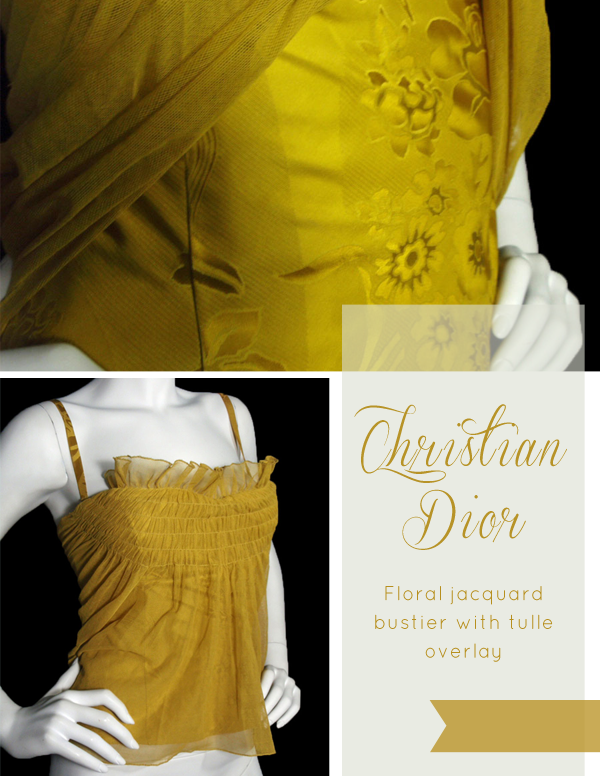 This gorgeous Christian Dior bustier is exquisitely fashioned from golden yellow floral silk jacquard fabric with a smocked tulle overlay. U.S. size 6 (as labeled) but seems to run smaller. (Straps are removable). See listing for more information and fit detail.